Laura applies her strategic approach to both top-level digital strategies and to content strategies for her clients as the CEO of Big Thinkers Society. 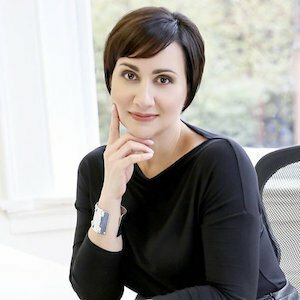 Laura Porto Stockwell is the CEO and Founder of Big Thinkers Society, an agency that helps organizations embrace digital to connect with the world in new ways and helps professionals level up their strategic skills through flexible, online classes. Over the past 25 years, Laura has brought innovation and inspiration to clients including Ford, Microsoft, Nike, T-Mobile, Toyota, and the Bill and Melinda Gates Foundation. And as an executive leader at agencies across the U.S. and Italy, she’s helped bring a culture of strategy to creative environments. Laura is a regular speaker at industry events as well as a frequent guest lecturer at the University of Washington. She holds a B.A. in Journalism from the University of Colorado at Boulder and an M.A. in Media Studies from The New School in New York City. 1:00 – Laura intro – content strategy near and dear to her heart – journalism degree – off to Prague – newspaper community reporting, translated nicely to digital, since there’s so much community – first digital job report at Seattle Times – put whole newspaper online on bulletin board every day – next 10 years at agencies – Razorfish, marchFirst, etc. in LA, San Francisco, Milan, New York, and Seattle – started 4 years ago. 6:15 – what was content strategy then? 10:45 – challenge of getting content out of clients and then maintaining it – how do you craft a content strategy for a client? 11:20 – first, really understand what exists – backing up a bit – now, as a digital strategist, she’ll start with, Understand business goals. What is the market opportunity? so things like competitive audits – took a while for companies to get that website *is* their brand – so first figure out biz goals – what are they trying accomplish? Are there brand pillars we are trying to support? Sales we are trying to make? 14:10 – execution, too? or just strategy? 16:10 – publisher vs. strategist – clients think about that? 19:35 – relationship between digital, branding, and content strategies – your take?